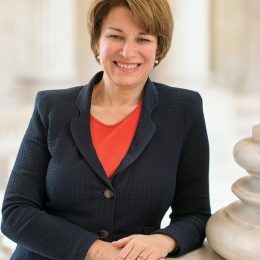 On February 10, 2019 Senator Amy Klobuchar (58), announced the formation of a committee to investigate a presidential campaign. Graduate of Yale University and the University of Chicago Law School. She was first elected to the Senate in 2006, becoming Minnesota’s first elected female United States Senator, and reelected in 2012 and 2018. Before entering politics, she worked at a private law firm doing regulatory work in telecommunications law.